The Michigan Supreme Court recently established a new rule clarifying that non-competes, which are commercial nature, and in this case a non-compete between two businesses, are to be evaluated for the reasonableness under a new standard. Traditionally, non-competes in Michigan were evaluated under a reasonableness standard, MCL 445.774(a), which was a statute, under the Michigan Antitrust Law, relating to the establishment of non-competes between employers and employees. The Michigan Supreme Court in Innovation Ventures v Liquid Manufacturing, decided on July 14, 2016, determined that as between two businesses, that the correct standard for review of a commercial non-compete was under a section of the Michigan Antitrust Reform Act, MCL 445.772, which is the general contract provision of the Michigan Antitrust Act. The Michigan Supreme Court announced that Court’s evaluating non-compete agreements between two business entities, must look at the federal interpretation of comparable statues under Federal Law. 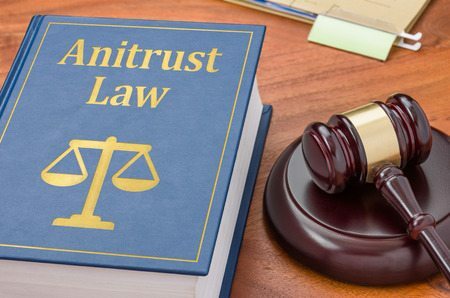 The Michigan Supreme Court explained that to invalidate a contract under the Antitrust Rule of Reason requires more than simply an unreasonable impact on the party, which was an analysis traditionally used for evaluating non-competes. The proper focus, as between businesses, includes whether the non-compete may suppress or even destroy the competition and that merely injury to a contracting party will not suffice. The Court further explained, the test under the Rule of Reason, whether competition in the overall market has been harmed. Under the present pronouncement the new reasonable standard will be a very difficult standard to meet for validating businesses non-competes as unreasonable. Essentially, it appears that the court enunciated a standard that will require an adverse impact on the relevant market, in order to invalidate such a non-compete. In practice, it would appear that will be extremely difficult hereafter in Michigan to invalidate non-compete between two business entities under commercial reasonableness test. The reach of the new decision has not been determined. Commentators have argued that this new rational may apply to all commercial non-compete agreements defined as everything other than a non-compete agreement between an employer and employee, and can also include the sale of a business, or buy out situation where an owner of a company is bought out and executes a non-compete agreement. The reach of the new standard apart from the case of a non-compete between two businesses is not yet determined. The Innovation Ventures decision was remanded the to the lower court for an evaluation under the new standard enunciated by the Michigan Supreme Court, and there may be yet further guidance on this case on how this standard may be applied in the real world. Stay tuned for updates.